Last night was the 2015 BET Awards, and it was definitely a great show! This year marked the 15th anniversary of the awards as well. During the pre-show, hosted by Terrence J and La La Anthony, we got to see some retro moments from the shows over the years which was cool to see. We also saw stars hit the red carpet and the style suite, as well as performances from MGK, Natalie Rose, Jeremih, and others. I really only watch the pre-show to check out the interviewers' skills, to be honest, but it was a decent prelude to the actual show. 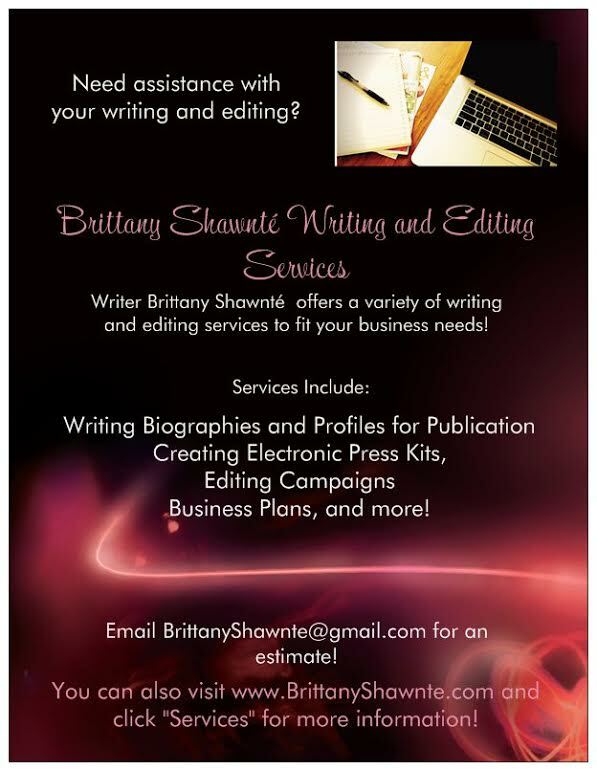 Check out the rest of my review below! Kendrick Lamar opened the show with "Alright," and it was a great choice! 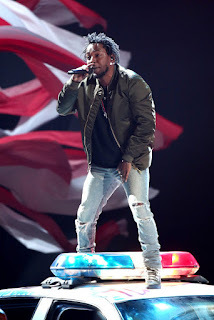 With the#BlackLivesMatter movement continuing to make headlines,Kendrick's stage layout was like a legit riot and march complete with many dancers, a huge American flag, and a tagged police car. The song is intense but still uplifting, and it was definitely a powerful start to the show. 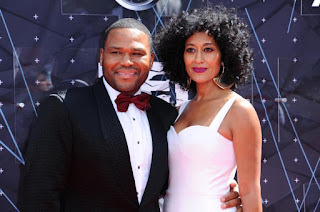 The show itself was hosted by Anthony Anderson and Tracee Ellis Ross, who star together on the hit ABC show Black-ish. Anthony and Tracee came out with their own crazy remake of Estelle's "Conqueror," cracking jokes at Rachel Dolezal, Usher, and others and getting laughs from the audience. Both wore leotards (Anthony needs not ever do that again! ), and Tracee was hoisted into the air doing little tricks that were funny but still cool to watch. Laverne Cox and Gabrielle Union presented the first award of the night, Best Actor, to Terrence Howard (Empire). Afterwards, Janelle Monae performed her latest song, "Yoga." Though this isn't my favorite song, The Electric Lady brought the energy per usual! Jidenna joined right after with his hit "Classic Man" as Janelle Monae danced alongside him. It was a very bold and good performance from both. After this performance, the stars of the upcoming movie, The Perfect Guy, Sanaa Lathan, Morris Chestnut, and Michael Ealy, presented the Best Female Hip Hop Artist to, of course, Nicki Minaj, making this her SIXTH award in this category in a row. Not surprised at all. Though I still believe that Iggy should've won last year, Nicki has been making huge moves since then with her new album and videos. She deserved it this year, but I would love to see another female rapper beat her next year. We also got a special look at The Perfect Guy, which many of us have already seen trailers for. I'm excited for the movie, though I'm hoping it won't be a big let down. 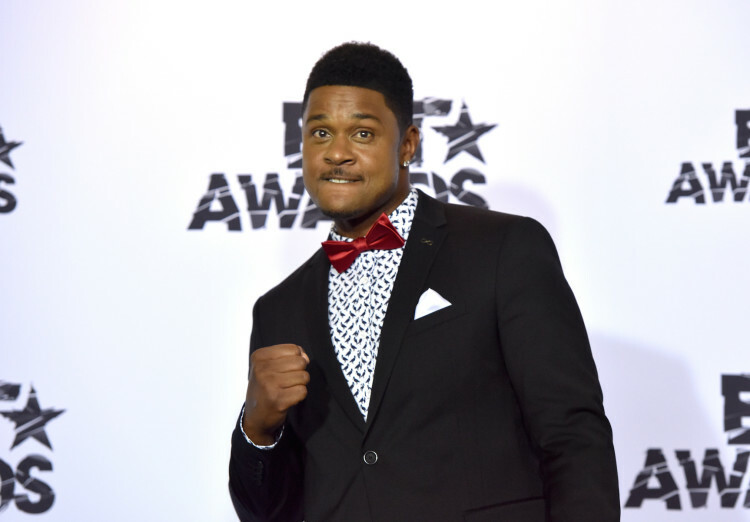 The stars of The Game came out to announce the next award, and we got a special surprise from the show's former star Pooch Hall announcing that he and Tia Mowry will be back for the series finale of the show! They announced the winner of Best Male Hip Hop Artist which went to Kendrick Lamar. Of course, as a Moon, I wanted Wale to win, but I'm also realistic. Kendrick is more popular (and this is really a popularity contest), but he is a great lyricist as well. Chris Brown then hit the stage, performing a snippet of his song "Liquor" and then performing "Ayo" with Tyga. I still don't like that song, so I wasn't really paying attention to the performance. However, when Omarion joined Chris to perform "Post To Be", my head turned back to the TV. It would've been great to see Jhene Aiko as well, but it was still a good performance. Neither of their vocals weren't up to par completely, but the energy was definitely there! Already there is an Illuminati rumor going around with that pyramid setup they had, but I liked that performance. During the commercial break, Tracee brought out her rap persona, TMurda, having a short battle Kevin Hart's own persona Chocolate Droppa! I wish she had brought that to the main stage, because I love TMurda! La La then brought out singer Avery Wilson for a Music Matters segment. It's always nice to upcoming artists on the show! 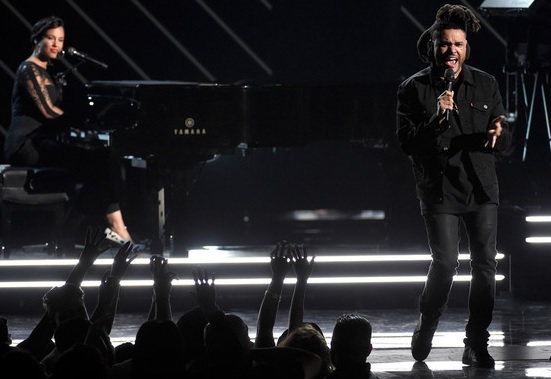 The Weeknd performed a bit "Mood Music," which went into a duet of "Earned It" with Alicia Keys. I love the song, but HATED this duet. Both of their vocals were ALL over the place, which I, unfortunately, have come to expect from Alicia's live performances. However, I expected more from The Weeknd. Before Kelly Rowland presented the award for Best New Artist, Charlie Wilson surprised us with a little snippet of "Outstanding!" For the first time, all of the nominees were given a Samsung Galaxy, and the winner received a call! When the phone rang, the "nominee" was Anthony Anderson decked out in a costume, taking home the award for Sam Smith! Boris Kudjoe and Nicole Ari Parker took a moment to spotlight Bivian Lee and his organization, Son of a Saint, in New Orleans, which is working to assist black boys through mentorship programs and classes on life skills. Donnie McClurkin then gave a small tribute to Andrae Crouch, who passed away earlier this year. singing "The Blood Will Never Lose Its Power." The show's tiny gospel moment. Then came the best performance of the show, the Bad Boy reunion! Puff Daddy, Mase, 112, Faith Evans, the Lox and Lil Kim performing a medley of some of Bad Boy's biggest hits, including "I Need a Girl Part 2" "Love Like This," "Peaches and Cream" "Mo Money, Mo Problems," and "It's All About The Benjamins (Remix)." Pharrell also hit the stage, and there was a moment where only Biggie's voice played and a picture of him flashed across the screen in remembrance of him. The only thing that I did not like about this performance was French Montana stepping on that stage in that moment. I know he's signed to Bad Boy, but he didn't need to be there. To me, he was an unnecessary interruption to history, and it killed the vibe. However, the performance overall was AMAZING! I felt like I was reliving pieces of my childhood. I joke sometimes about the current Bad Boy curse (with artists coming on and quickly falling off), but Puff and his label really brought the TIMELESS hits back in the day. Honestly, this should've closed the show. Would've been so hype! Afterwards, the kids of Black-ish and Silento came out to dance to Silento's hit "Watch Me," hitting those Whip and Nae Nae dance steps hard! Terrence J with a guest introduced another Music Matters artist, Andra Day, who I definitely plan to check out! This year's Lifetime Achievement Award went to the legendary Smokey Robinson, with video John Legend, Aretha Franklin, Berry Gordy, and Janelle Monae. Tori Kelly gave a beautiful rendition of "Who's Loving You," and then Robin Thicke performed a soulful cover of "Ooh Baby Baby." Ne-Yo then hit the stage with "The Tears of a Clown." As Smokey accepted his award, he was so grateful for the accomplishments and strides made over the length of his career. Seeing Smokey speak openly to God about his talent and career, thanking different people, was so beautiful He also spoke to artists telling them truthfully to be humble and grateful for their gifts. "You didn't start this. You were not the first in line. You are not the end of the line, so don't be full of yourselves," he stated firmly. PREACH SMOKEY! The legendary singer/songwriter ended the tribute, singing "The Tracks of My Tears," "Cruisin'" and "My Girl." I would loved to see this tribute done with more artists, though. It seemed so short of a tribute, but then again, the show was already long enough. I noticed quite a few people on my Twitter timeline negatively commenting on Tori and Robin being chosen for the tribute because they're white. I couldn't care less about their color. Yes, I know that this is the BET Awards, but black people also listen to blue eyed soul. Hence the hype of Sam Smith, Tori, and Robin. We can listen to them and buy their music, but we can't let them have some shine too? Granted, I would loved to see other artists perform during that tribute, but the ones chosen are talented artists, regardless of color. The BET Awards have not in the least been "whitewashed." I need some of yall to go sit down somewhere. After the tribute, Meek Mill, Chris Brown, and Nicki Minaj came on stage to perform Meek's new song, "All Eyes On You." I'm sorry, but this wasn't a performance-worthy song to me. Honestly, the only reason I think Meek was on that stage was because of Nicki. There had to have been a deal behind the scenes to make sure SHE was there. Monica and Keyshia Cole then presented the Centric Award to The Weeknd, who apparently left the award show for some reason, so they accepted on his behalf. Anthony and Tracee then came out like Luscious and Cookie Lyon from Empire, with Terrence Howard soon coming out to introduce his Empire family, Jussie Smollett, Serayah, and Yazz. The trio performed "No Apologies" "Drip Drop" and "You're So Beautiful," hit songs from the show. People were a little irked that these three performed, BUT Empire is a huge show that created some pretty good music. Also, all three of them are actually signed artists, so why shouldn't they perform? I loved seeing them on stage. NBA legend Kenny Smith honored legendary sportscaster Stuart Scott, who passed away from cancer at the beginning of the year. 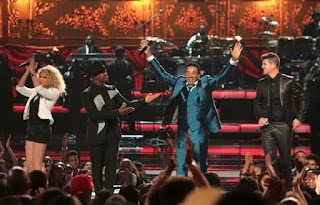 Anthony Hamilton and Prince Royce performed Percy Sledge's "When A Man Loves A Woman," Ben E King's "Stand By Me" and B.B. King's "The Thrill Is Gone," paying tribute to these great legends who passed away this year. We also saw a collage of those killed in the recent Charleston shooting as well. Michael B. Jordan then led a tribute of those who have participated in the #BlackLivesMatter movement, showcases pictures from Ferguson, Baltimore, Cleveland, and other cities. Big Sean then performed "One Man Can Change The World," "Blessings," and "IDFWU," with E-40. I would've loved to hear more of "One Man Can Change The World," especially after the tributes, but oh well. I have to admit, this is Sean's biggest year of his career so far, so kudos to him. BET chairman and CEO Debra Lee announced the winner of this year's Humanitarian Award, Tom Joyner, who has put in work for years in radio and education, giving away millions of dollars in scholarships over his years in the industry. He believes in education wholeheartedly, as well as voter registration, health awareness, and other issues facing the black community. He has given back to help others achieve their goals, and has done an amazing job. Well deserved Tom! Jimmy Jam and Terry Lewis began the long-awaited tribute to Janet Jackson, who was awarded the first award for Ultimate Icon: Music Dance Visual! I wouldn't say I'm a Janet stan, but there is no denying the impact that she has had all over the world. Tinashe, Jason DeRulo and Ciara came out with dance tributes to a medley of Janet songs, which were cool. No singing, just dancing, which was perfect. I wish that Chris Brown had been a part. Not sure what happened behind the scenes but he definitely would've been a better pick than Jason. Then again, Chris was on the stage half of the show anyway, so maybe it was better to give somebody else a shot. I would've loved the tribute to be longer, but, again, there were time constraints. Maybe if we start cutting down some of these sub-par performances we can have better tributes...just saying BET! 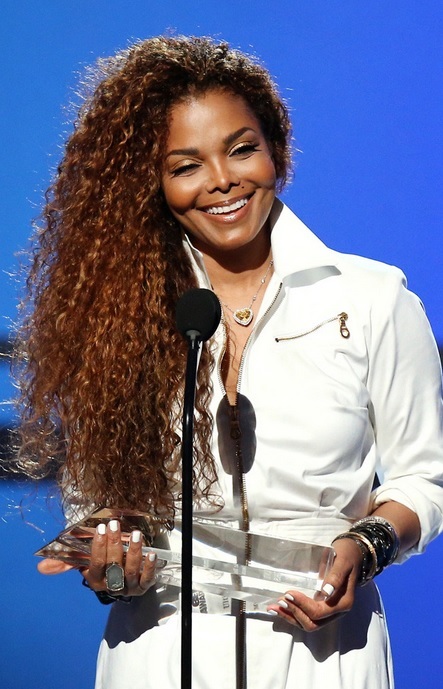 After the dances, Janet walked out calmly and applauded everyone for their work, and accepted her award, as parents Joe and Katherine Jackson watched from the audience. I kind of wanted her to perform, but just her being there was great! This is a perfect start to her new era, as she gets ready to release new music and go on tour! Brooklyn Nets' Jarrett Jack presented the Fandemonium Award and Best Male R&B/Pop Artist to Chris Brown. Afterwards came a moment I was personally waiting for! K. Michelle performed her latest song "Hard To Do," with Tamar Braxton hitting the stage right after to sing her new song "If I Don't Have You." Tamar then apologized to K and they performed a duet of "If Only You Knew," bringing out Patti LaBelle herself! Yes, they ALL had pitch issues, BUT, after all this social media shade, I was just happy to see Tamar and K bury the hatchet and move forward. I hope that they record a song together in the future! Zendaya and a contest winner announced the winner of the Viewers' Choice Award, Nicki Minaj feat. Drake and Chris Brown for "Only." Rihanna then gave a minute snippet of her song "BBHMM." I love Rihanna, but she could've given this during the pre-show, especially for how long this show was (Again, BET had an extra half hour allotted than in years past, and they STILL went over). Then again, I'm sure this was a deal for BET to get Rihanna there in the first place for mor raitings. The show ended with Fetty Wap, performing "Trap Queen," with Anthony and Tracee giving a signoff to end the show! Overall, the show was VERY long, but I really enjoyed it! The Bad Boy reunion was definitely the biggest highlight, as well as the Smokey tribute. As with any show, there were its shares of hiccups and dull moments, and I really wish there had actually been more announcing of the awards live. However, it was definitely a great show to watch this year! 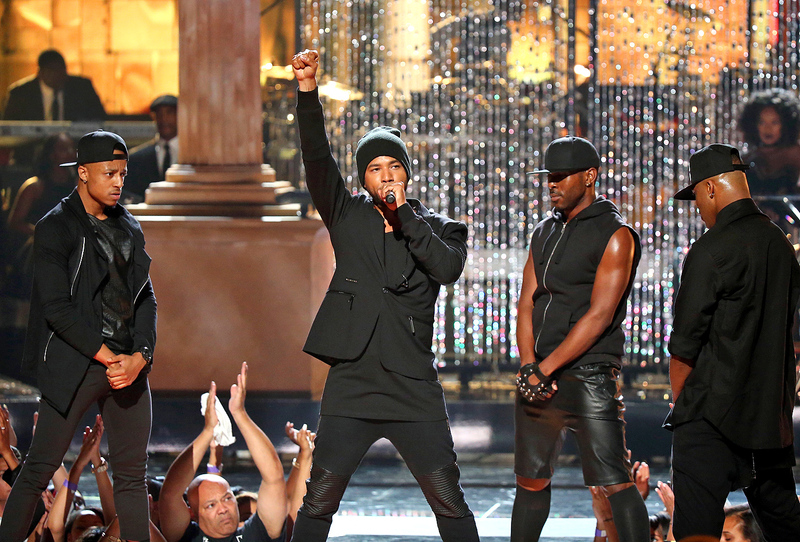 What did you think of the BET Awards 2015?